These new summer cushions aren't your typical cushions...they're somewhat of a new concept. I mean, bronzing and highlighting with foundations is not a new concept but there are not many brands making bronzing and highlighting cushions. I have seen a few out there but that was during the height to the cushion hype when everyone was coming out with cushions and cushion everything. It seems like Tom Ford is a little behind on the cushion trend but I don't mind because I still love cushions! There's something special about a cushion formula that is so different from other formulas. They just seem to blend into the skin in a different way and they have this unique finish to them that you can't find with liquids and creams. 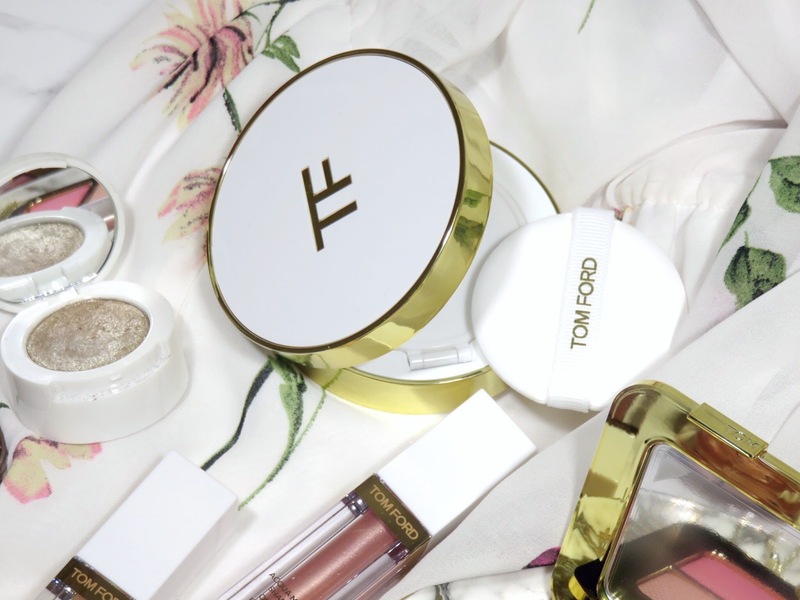 Last fall, Tom Ford launched their Traceless Touch Cushion Foundation (full review here) everywhere else in the world except for the U.S. but now, it will be available in the U.S. However, this formulas for the Soleil 2019 Collection are different from the foundation formula. 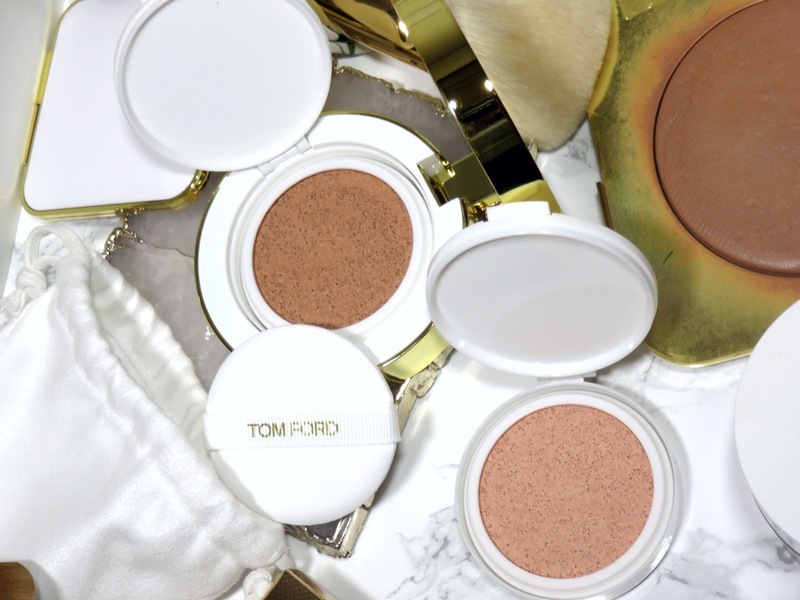 The Tom Ford Glow Tone Up Cushion Foundations retail for $87.00 USD, which includes the compact and the cushion. You can also purchase the cushion individually for $57.00 USD. These are available at Nordstrom and other retailers. At the moment, it does not appear that you can purchase the compact individually, only with the cushion. I decided to purchase two cushions, one in the compact and one as a refill because I really don't think I need multiple compacts. The compact for the Soleil Collection is, of course, in the classic white lacquer. 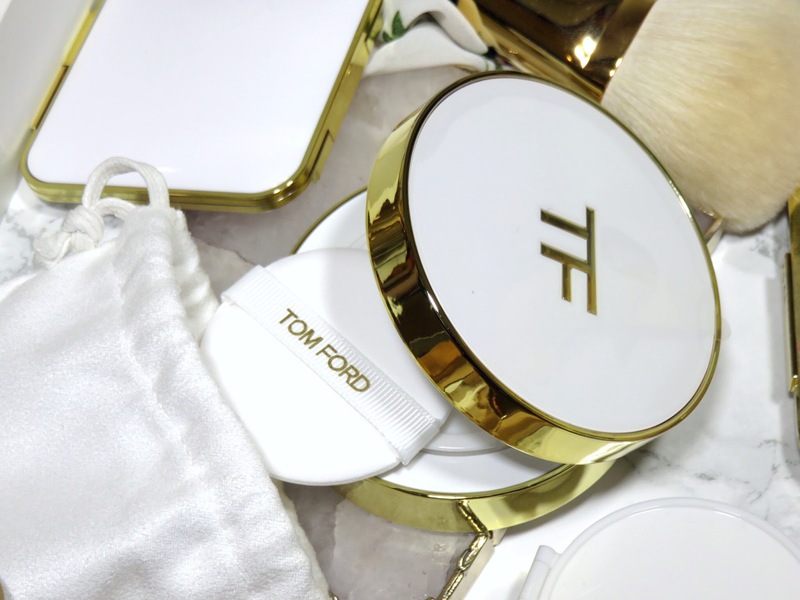 The foundation cushion comes in the traditional Tom Ford cognac packaging. 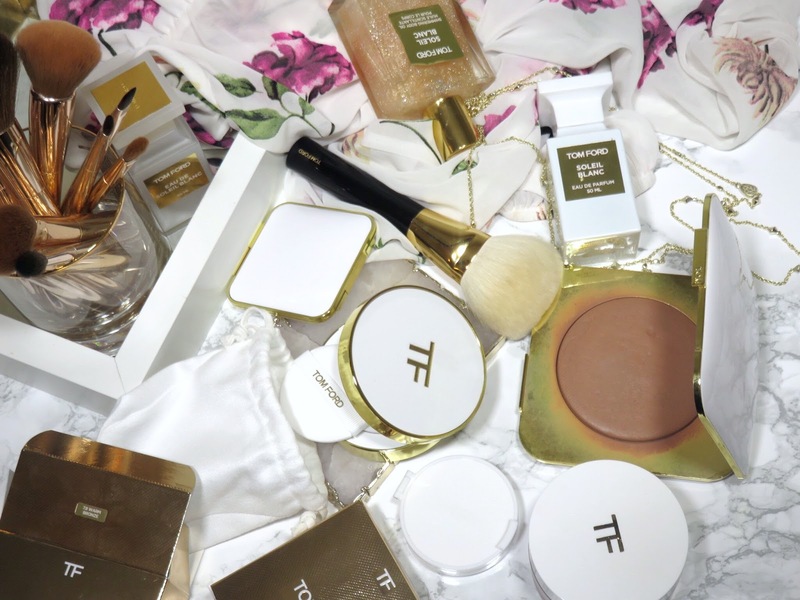 I much prefer the white and gold packaging because it is so luxurious and it was his original packaging back when Tom Ford only sold lipsticks. The compact itself is a very lightweight plastic and doesn't feel very substantial or luxurious but it certainly looks pretty. The compact comes with one puff for application of the product and the product is securely snapped into the compact. 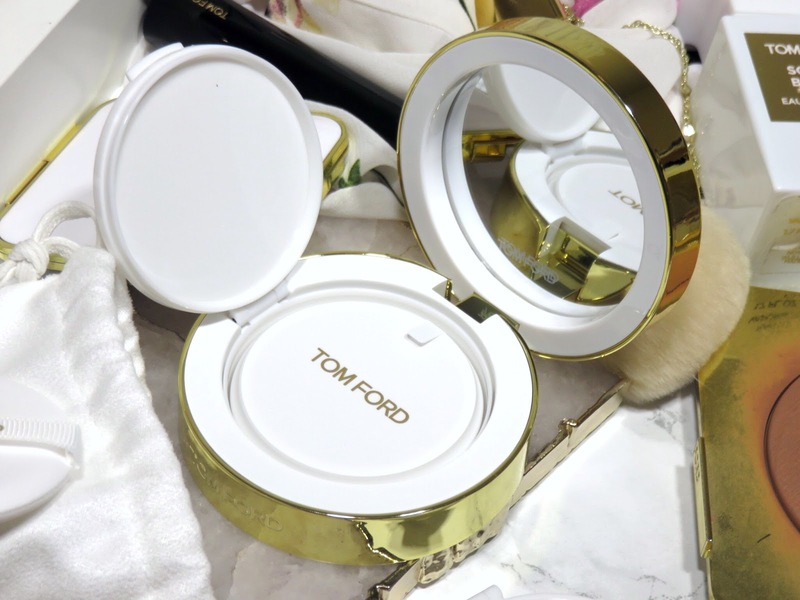 The compact is a ring in which you snap the cushion into and it comes with a mirror in the interior. The cushion can be very easily swapped out when you need to. It also comes in a little faux suede pouch to protect the compact from getting dirty or scratched. Trust me, this plastic is very fingerprint and scratch-prone, so even if you try and protect it, you may notice some scratches after regular use. Unfortunately, as beautiful as the faux white suede is, it will get dirty very easily. 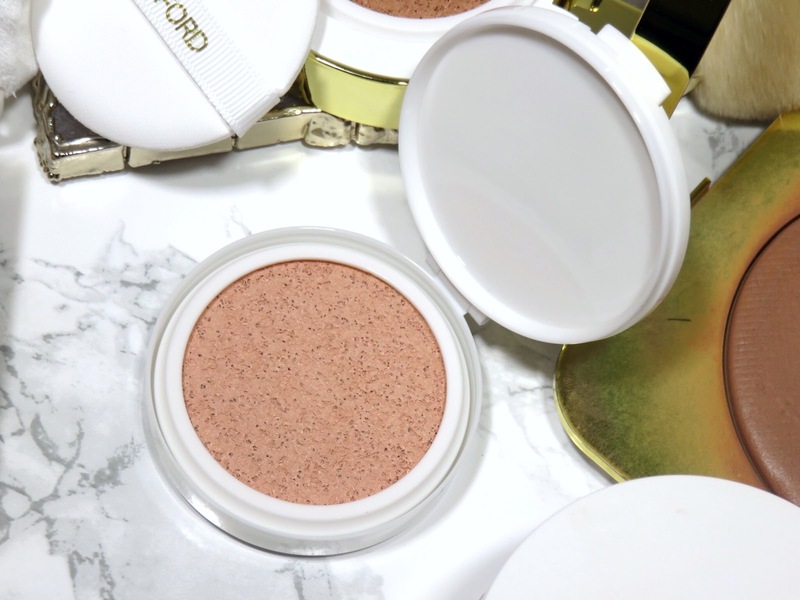 These two shades are meant to used as a glowing corrector, primer, or highlighter. They are much sheerer than the bronze shades and they really offer just a tint of color. 2 Pink Glow Tone Up - This shade is a sheer beige pink shade that will suit fair to tan skin tones. 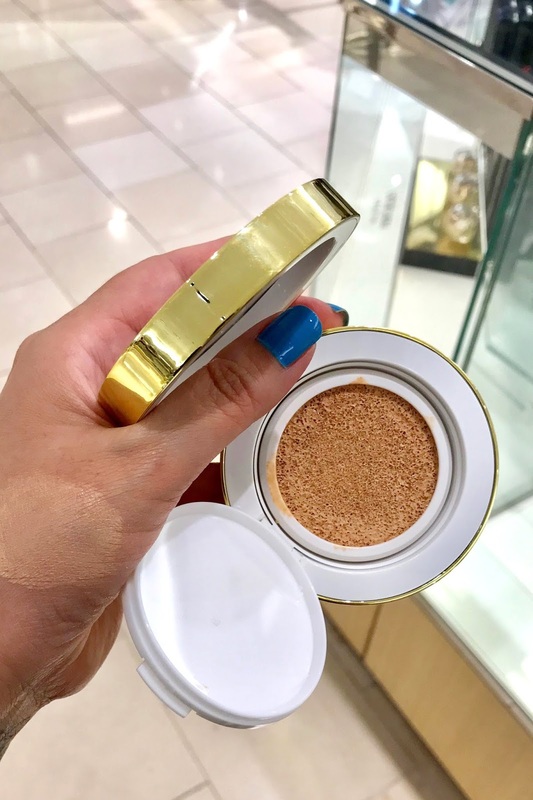 This shade can be used to brighten the overall complexion as a primer or used on top of foundation as a highlighter. 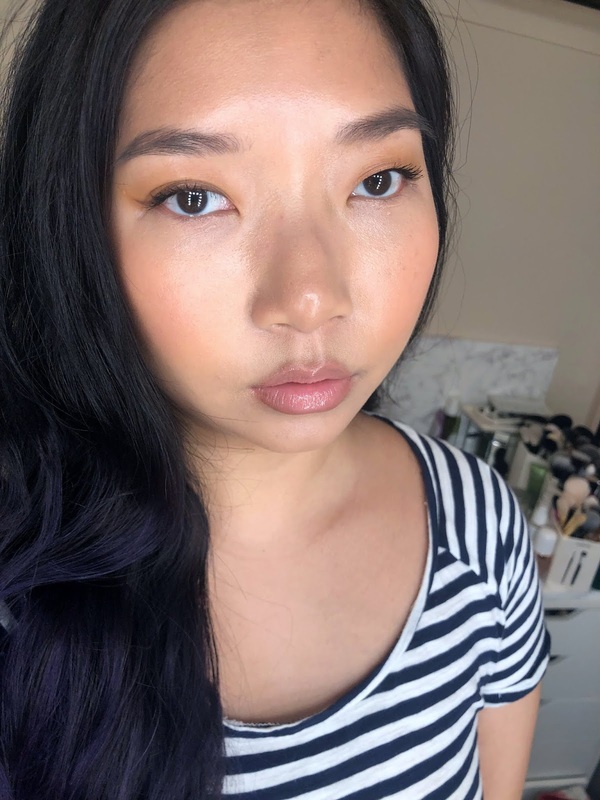 3 Peach Glow Tone Up - This shade is a sheer and very peachy shade. This shade would be best on tan to deep skin tones as a correcting primer or on fair skin tones as a blush. It has quite a strong orange tone, so I don't recommend it as a bronzer. These three shades are meant to add warmth to the skin. Again, this formula is sheer but actually has much more pigment than the lighter corrector shades. 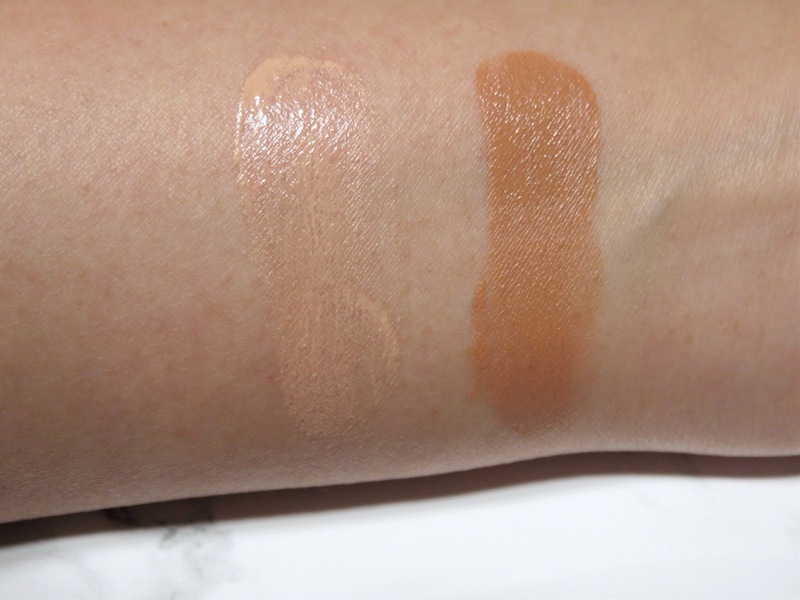 2.0 Buff - This is a very light beige shade, which is the closest shade to "skin tone" you're going to get in this range. However, for a very fair person, you can use this to add warmth to the skin. 7.8 Warm Bronze - This shade a medium warm bronze and will suit most fair to medium skin tones. 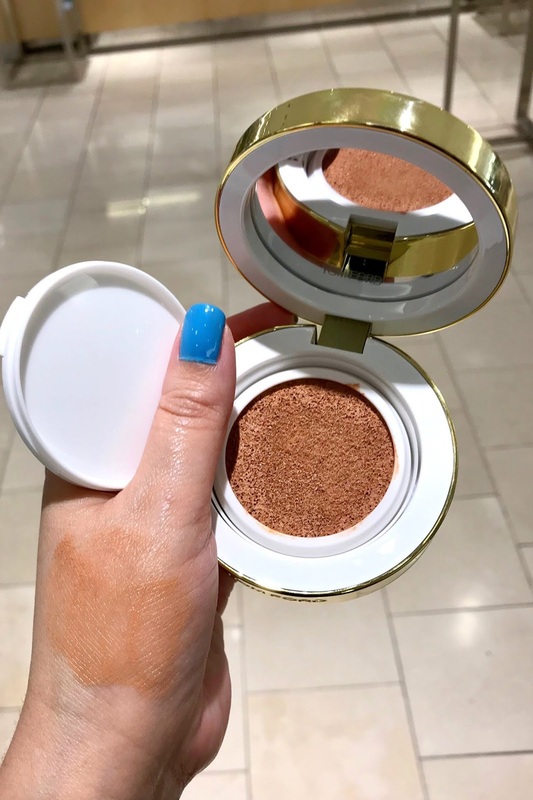 It has the perfect bronze tone and warmth for a bronzer. 9 Deep Bronze - This shade is a slightly cooler but deeper bronze shade. This shade is ideal for tan to deep skin tones. This formula is sheerer than the Traceless cushion or any foundation because it isn't meant to cover but enhance. Do not expect this formula to actually provide any coverage because it really isn't created for that. The formula is very easy to use because it is sheer and light. The highlight/corrector shades are particularly sheer and I don't notice a big difference in my complexion, except that it appear more dewy. 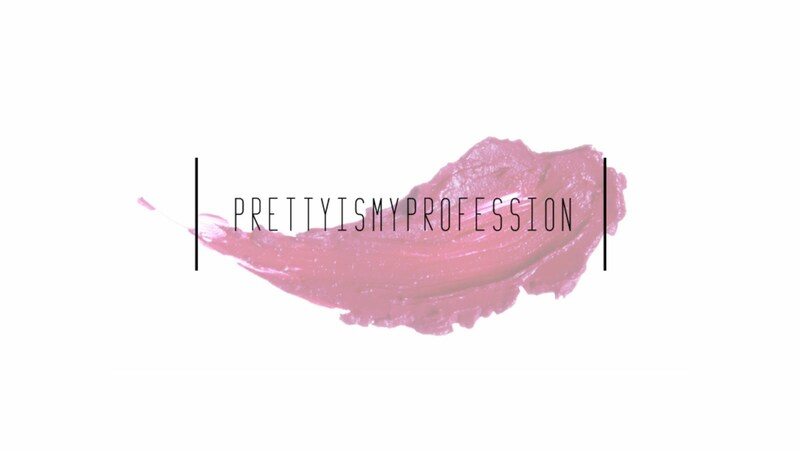 I think this formula works best as an illuminating primer. 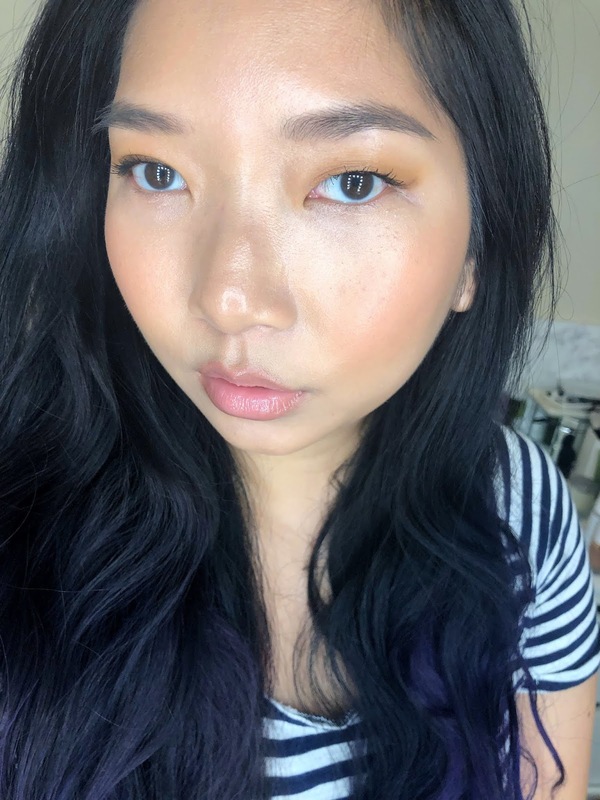 With the bronzing shades, I find one dip into the cushion is enough to bronze almost my whole face! These are fairly pigmented but they blend into the skin like a dream! 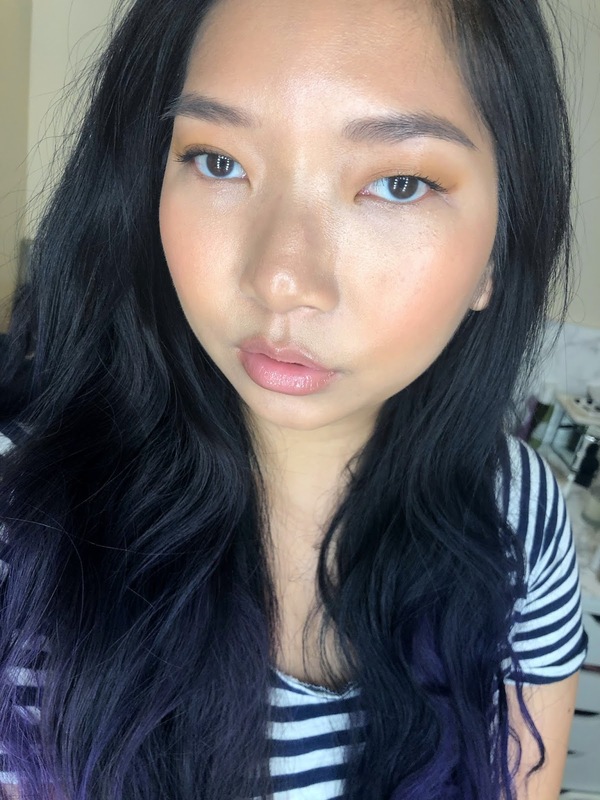 That's the thing about cushion formulas is that they really fuse into the skin and look so natural! Thes do seem to set to the skin after some time but there is a lot of time to manipulate and work with the formula. I love the natural glowing and dewy finish of these cushions. 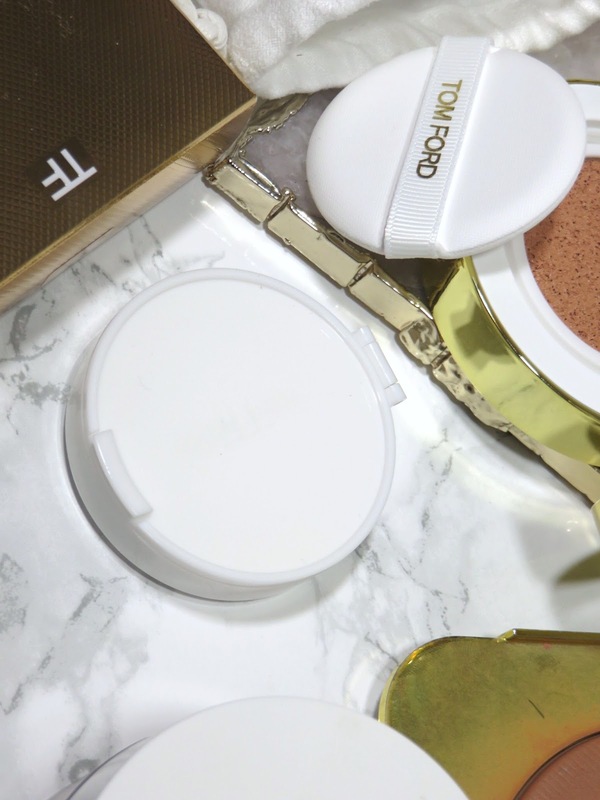 They pair very well with other cushion foundations, as well as other foundations in general. What I find most impressive about this formula is the lasting power! 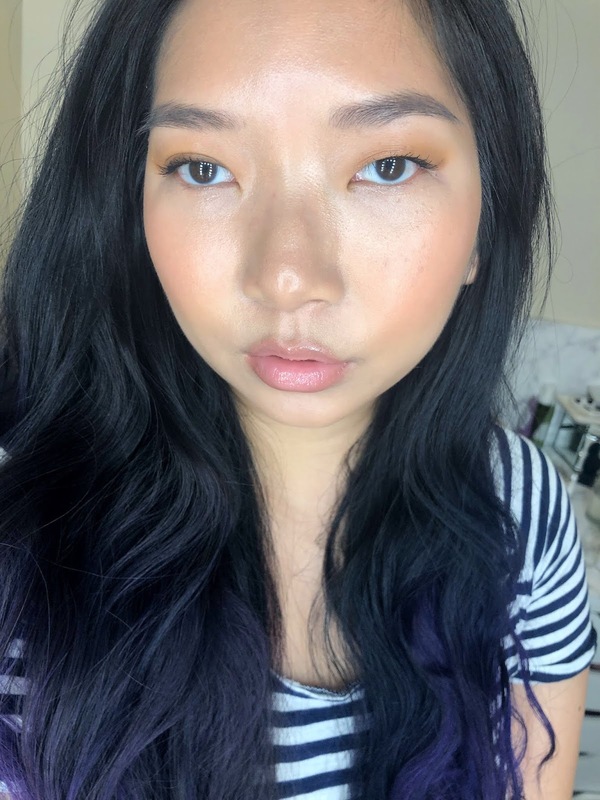 These last all day long, without any primer or setting powder or mist! Granted, I do have dry skin but not all bases last all day one me and not all cream or liquid face products last all day on my skin. I am impressed that the bronzing shades just look as flawless at the end of an 8 hour work day, as it did when I first applied it! One thing to note is that this formula does contain SPF 45, which means you'll be well protected in the summer. Especially if you use the cushion all over the face as a primer. 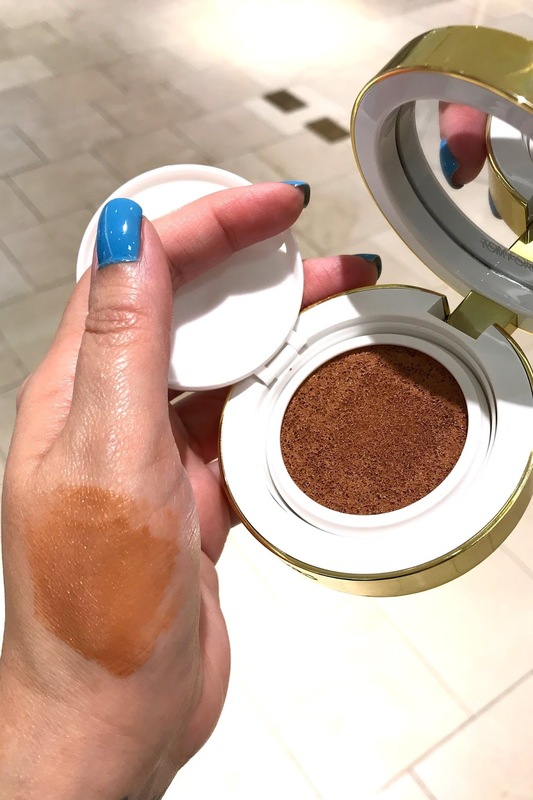 I personally am not a huge fan of using the included sponge applicator, especially for the bronzing because I prefer more precision but in a pinch, it works. For the highlighting and correcting formula, I don't find precision as necessary and therefore the sponge works well. I really only use the sponge if I'm on-the-go without any tools at my disposal. I actually prefer using a dense buffer brush, that you'd often use for foundation, and I like to stipple the product on and press into the skin. I also like using a beauty sponge for cushions because the texture really helps push the product into the skin seamlessly and you can still get some precision. Here are the cushions actually on my skin. 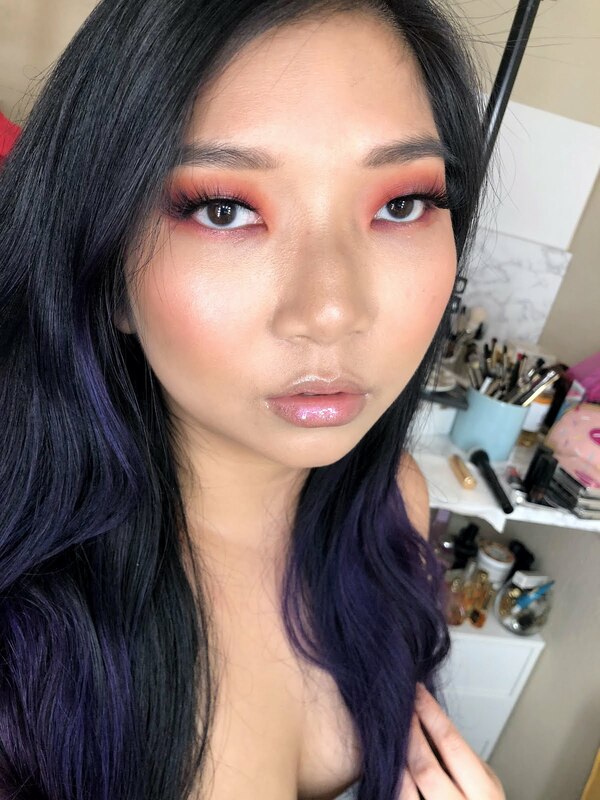 I used the Pink Glow as a Highlight and the Warm Bronze as a bronzer. This was all applied over my Traceless Touch Cushion. 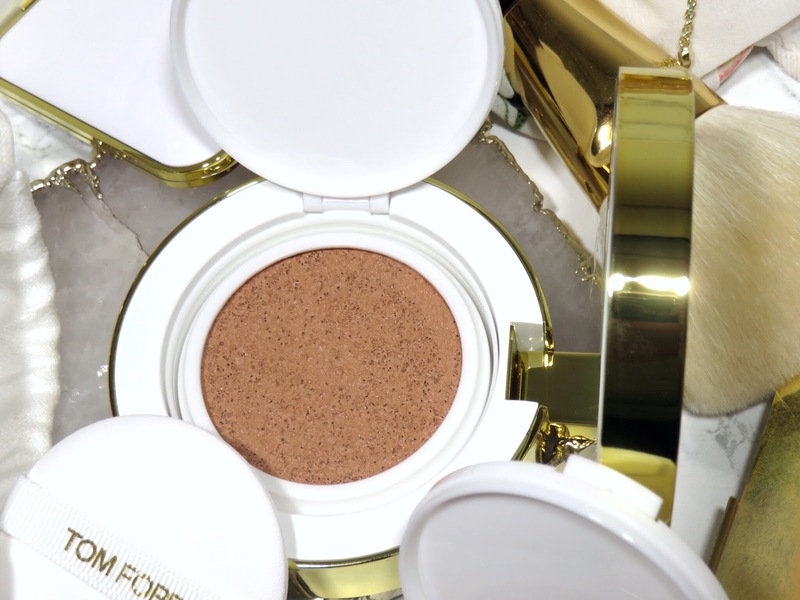 I am not completely sold on the highlighting and correcting cushion formula. I personally don't think it does that much to my complexion to warrant such a high price. 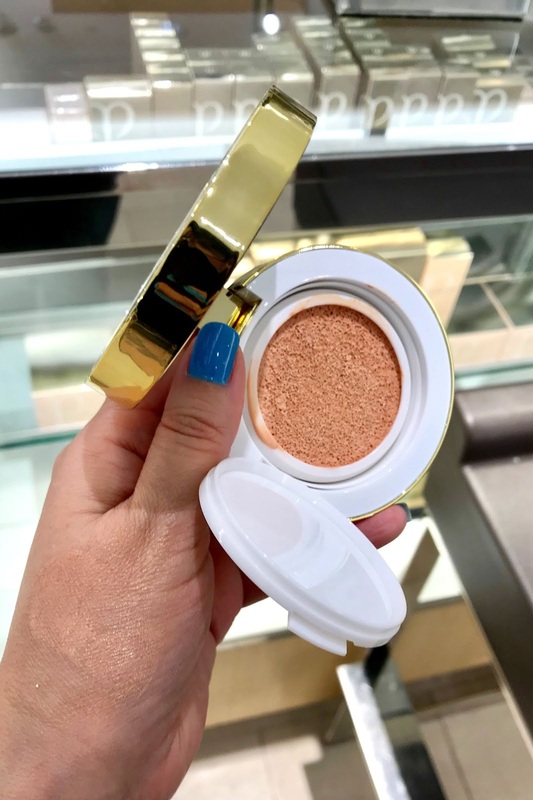 I do like it and it is great for adding dewiness to the skin but for the cost, you can find many illuminating primers that will do the same thing. 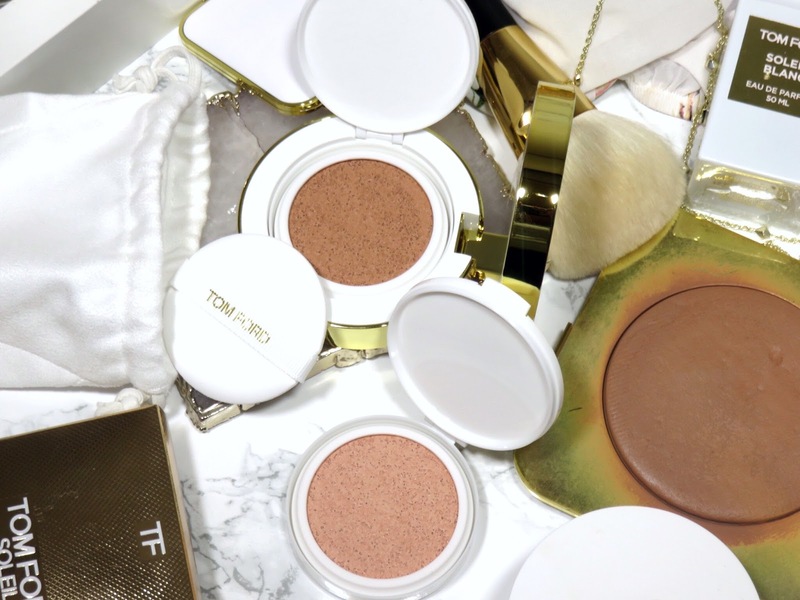 The bronzing formula however, is a MUST-HAVE! The bronzing formula is so beautiful and fuses with the skin to create the most natural glowing bronzed skin! It lasts all day long and just makes your skin look so healthy and fresh. 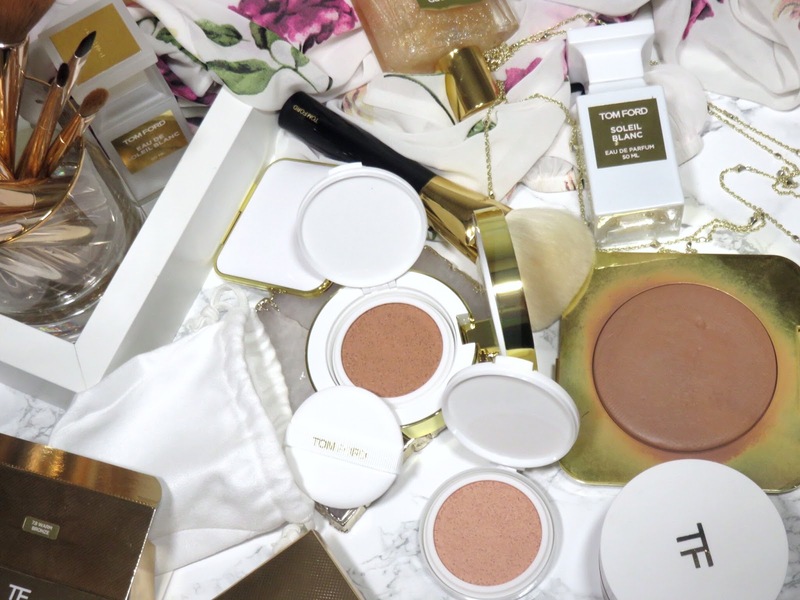 You don't need a lot of product to warm up your complexion and it looks unlike any cream or liquid bronzer I have ever used! 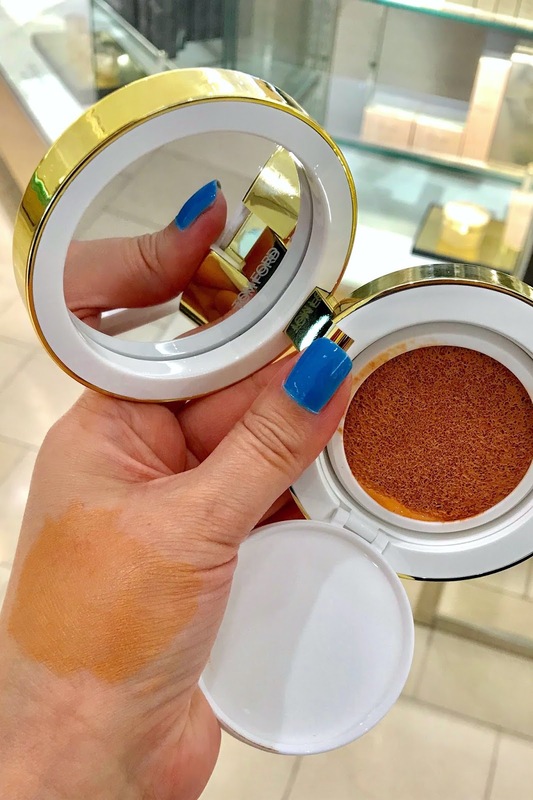 I am really really impressed with this cushion formula and I wish there were more shades because I don't think this range is quite large enough. I would highly recommend picking up one of the bronzing shades, especially with summer coming up, it will be a nice and natural way to deepen your foundation and add a beautiful glow!